Success 1 — InsightFormation, Inc.
TO IMPROVE THE LIVES OF ALL. We are proud to partner with change makers across the nation to improve the lives of all. 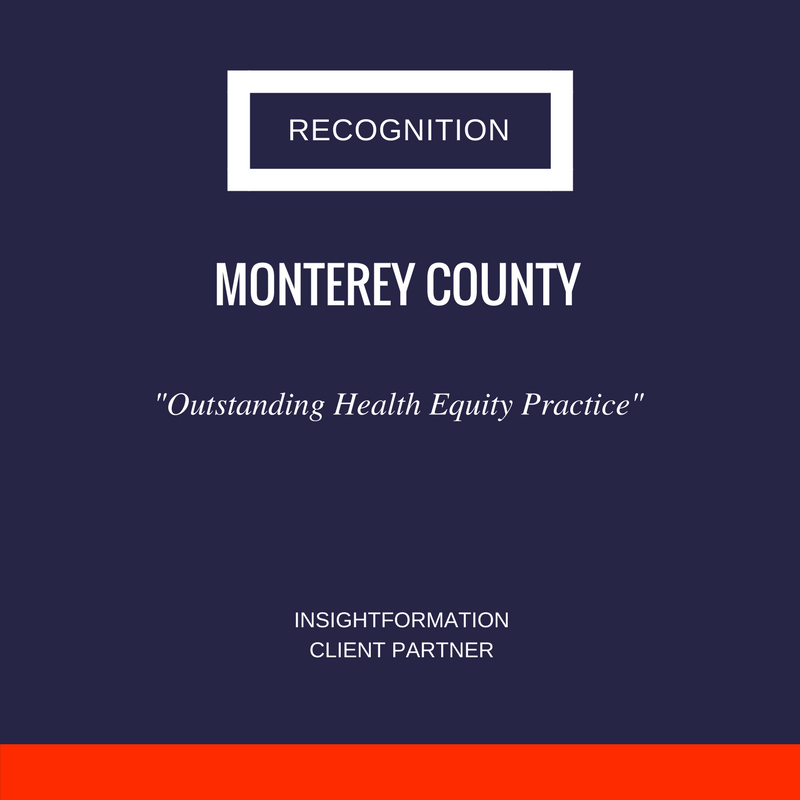 Insightformation was a key resource for Monterey County's nationally recognized efforts in health equity. Insightformation client partner Thriving Weld has garnered global attention for its total population health program. Insightformation was a finalist in the 21st Century Communities Challenge for U.S. mayors. Insightformation's InsightVision was the key resource for Live Well San Diego's nationally recognized efforts in total population health. Insightformation's Bill Barberg wrote "Implementing Population Health Strategies," in Solving Population Health Problems Through Collaboration. Balanced Scorecard expert James Creelman gives another nod to Insightformation in his piece about knowledge management. Balanced Scorecard global expert James Creelman endorses the work of Insightformation in a recent thought leadership piece. This piece examines the successful implementation of the Balanced Scorecard across a large network of partners seeking to drive positive community outcomes.